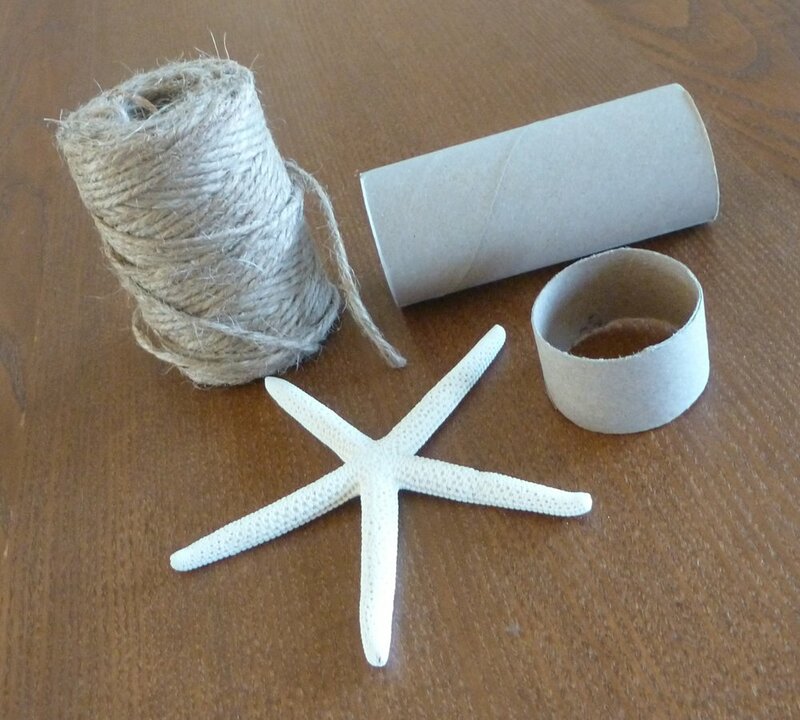 This ocean-inspired craft project involves simple materials that come together quickly for a nice, polished result. 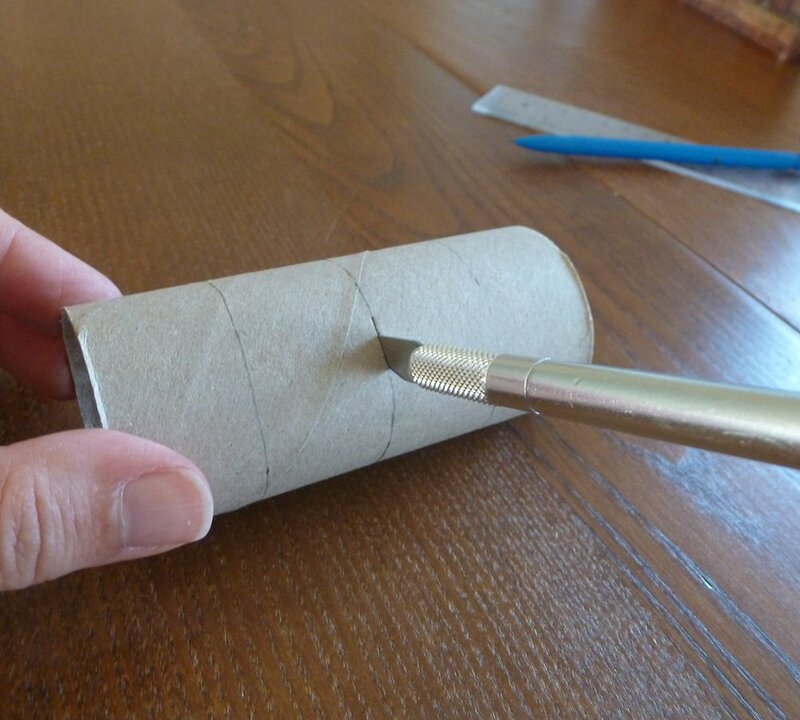 Measure off four equal sections on your toilet tissue roll, and cut with a utility knife. Don’t worry if the paper starts unravelling at all — it will all be held firmly in place once wrapped and glued. 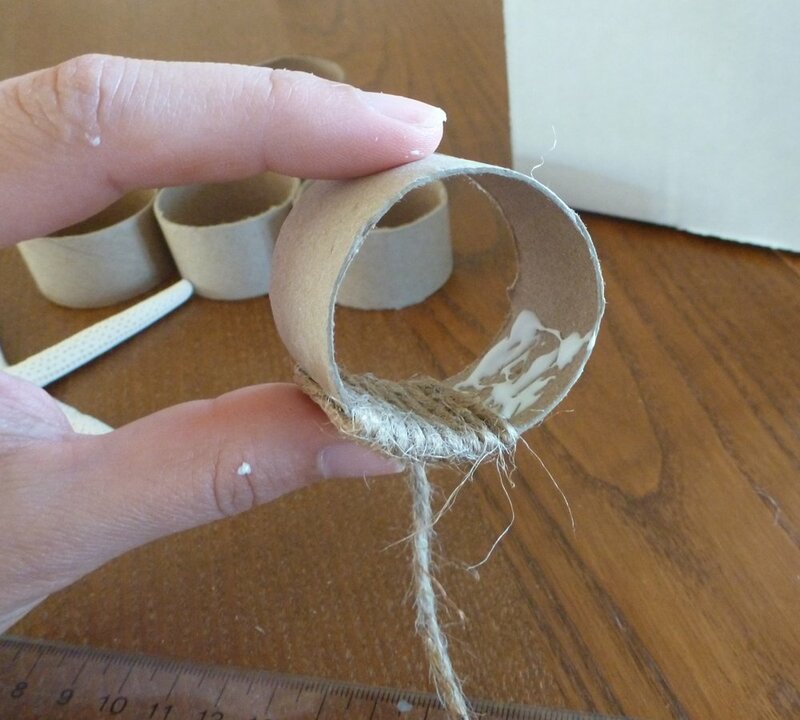 Next, cut off a long strand of jute and, starting on the inside of your roll, begin wrapping it around. 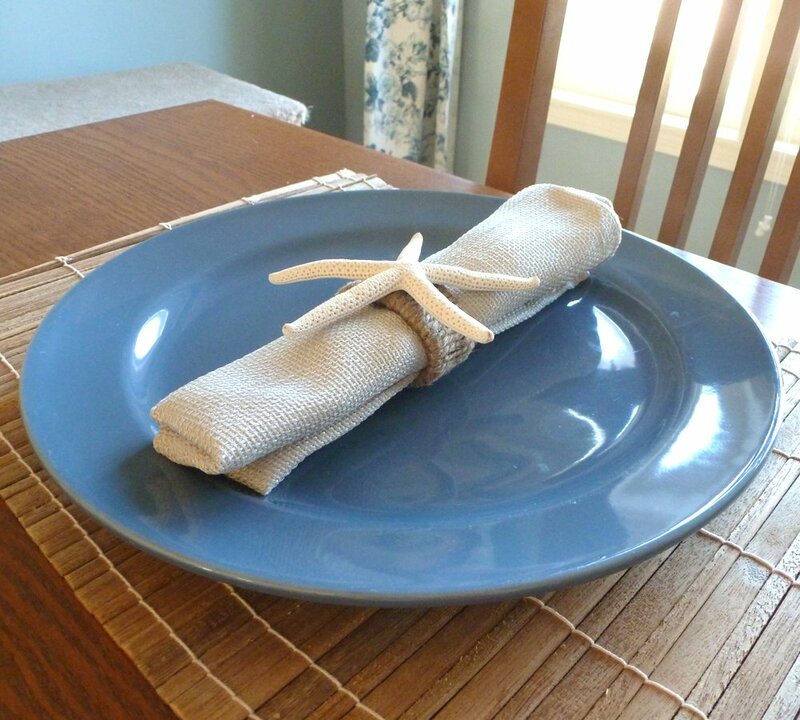 Cover your roll with glue, inside and out, in manageable portions — about an inch at a time. I found that two strands of jute, about 55 inches in length (140 cm), covered one ring nicely and was a reasonable length to work with. Your fingers will definitely get very messy during this task! Expect the glue to seep out through the cord as well, but don’t worry — it will look great once it’s dry. Add your starfish and you’re done! 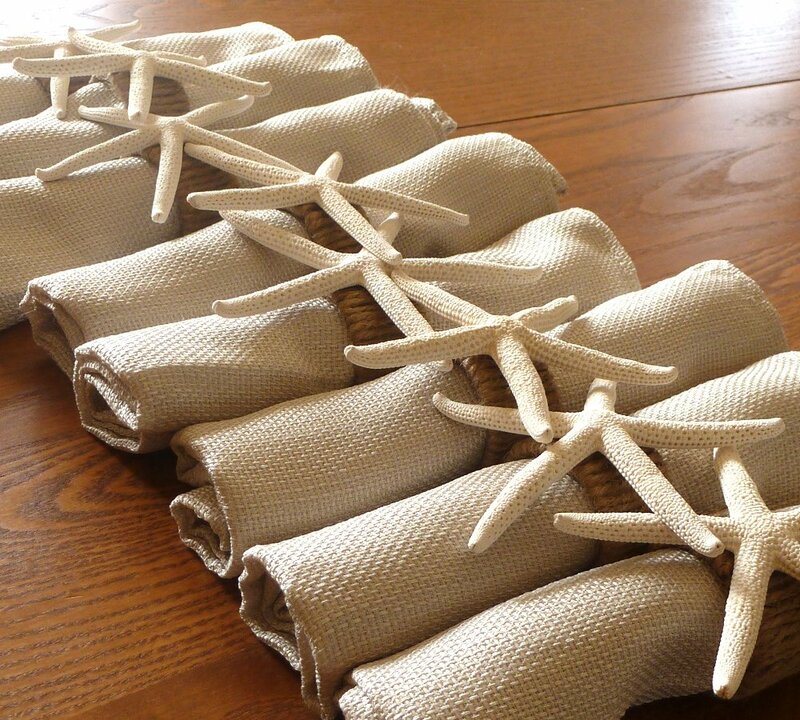 These napkin holders work great for a beach-themed party, or just everyday hosting. Enjoy!